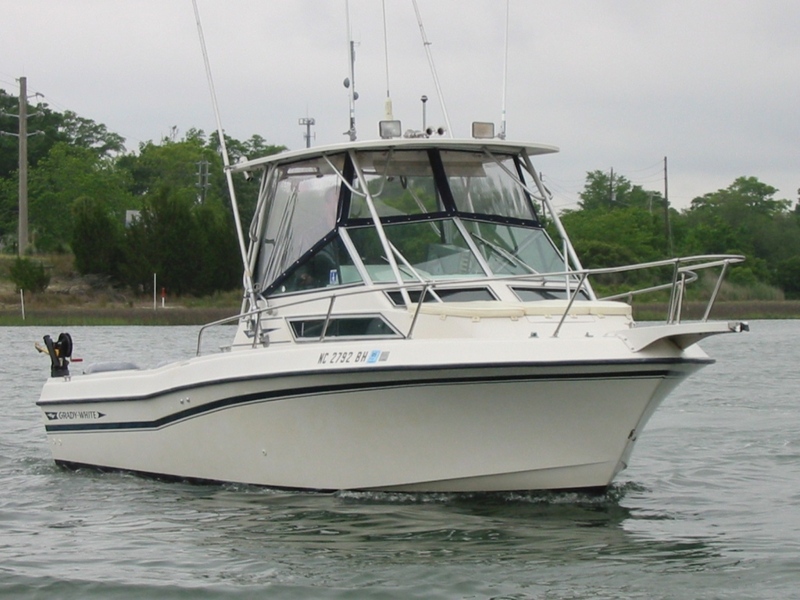 Head out on the waters with impressive performance on this beautifully styled Nautic Star 2602 Legacy. 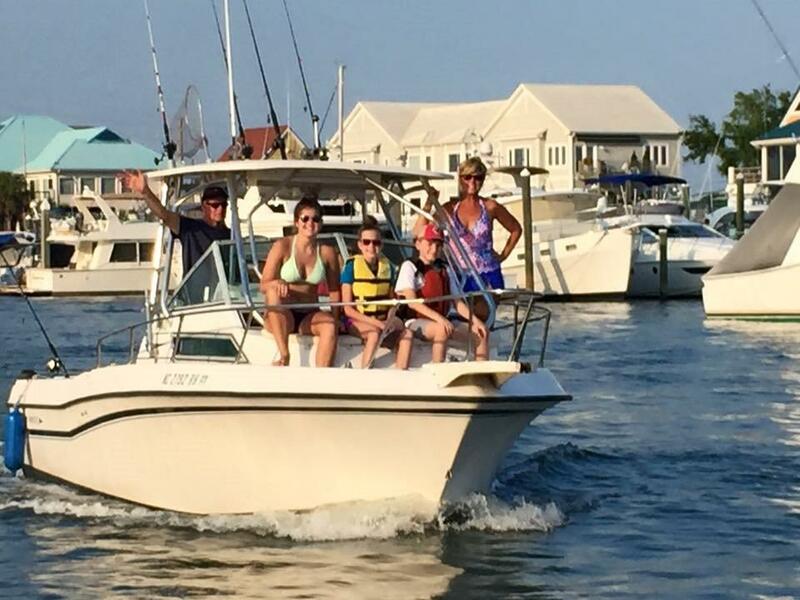 If you’re looking for comfort and plenty of deck space for up to 12 persons, look no further! This beauty has it all! Easy access to the swim platform promises a fun-filled day for the entire family. 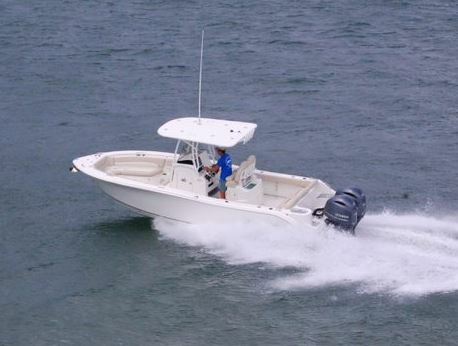 Its roomy cockpit features plush seating with flip-out backrest in the bow with 3-across aft seating that conceals the 18 gallon cooler and oversized insulated 50 gallon fish box, plus a 21 gallon baitwell. The spacious step down head is equipped with a sin k and mirror for your convenience. 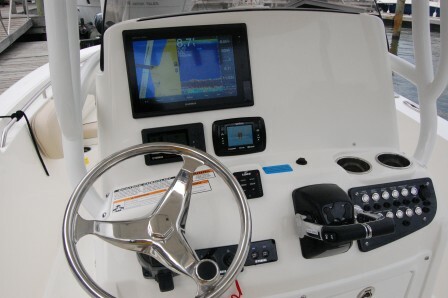 Check out the navigation and fishing electronics on the dash including a 12-inch display screen behind a curved windshield. A fiberglass hardtop offers a cool shaded console area to relax away from the sun. 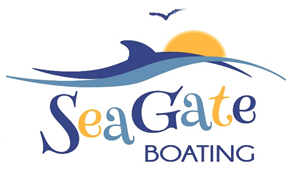 Ideal for a trip down the Cape Fear River to Bald Head Island or Downtown Wilmington. Feeling fishy? This Nautic Star Legacy 2602 makes a day offshore smooth sailing. 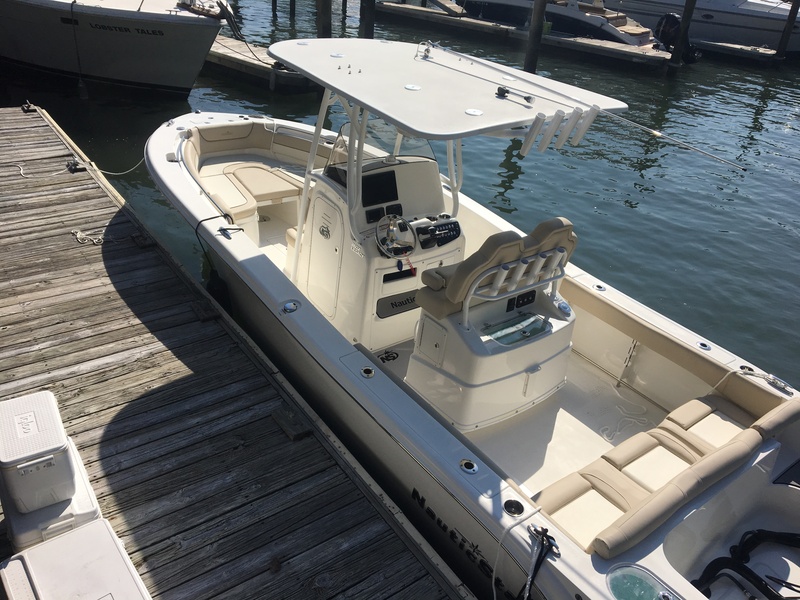 Featuring twin 150 HP engines, trim tabs, live well, optional downriggers and more, you have all the power and accessories needed whether you’re targeting grouper over ledges or chasing kings out at 23 mile rock . Bow Seating the kids will love!